Hyun-Soo (Seo Hyun-Jin) is an aspiring drama series writer. She uses "Jane" as her username and begins chatting with username “Chakhan Seupeu” (‘Good Soup’) online. “Chakhan Seupeu” is actually Jung-Sun (Yang Se-Jong). He dreams of becoming a French food chef. They meet in real life. "Temperature of Love" takes over the SBS Monday & Tuesday 22:00 time slot previously occupied by "Falsify" and will be replaced by "Doubtful Victory" on November 27, 2017. Based on novel “Chakhan Seupeuneun Jeonhwareul Bakji Anneunda” by Ha Myung-Hee (published December 13, 2013 by Book Road). Seo Hyun-Jin & Yang Se-Jong previously worked together in 2016-2017 SBS drama series "Romantic Doctor, Teacher Kim." Park Shin-Hye to make cameo appearance in SBS drama series “Temperature of Love”. Ep.19 and 20 were originally scheduled to air Tuesday, October 17, 2017, but it will now air Monday, October 23, 2017 due to a KBO League playoff baseball game between Doosan Bears and NC Dinos. Still images of Park Shin-Hye's cameo appearance. The final four episodes (ep.37-40) will air consecutively on Tuesday, November 21, 2017.
im still currently watching and in episode 7 so i cannot say much haha..
Mnv Dec 08 2018 11:16 pm Just watched the drama and i love it! stella Dec 01 2018 8:18 am You did a great job with Temperature of Love and Doctors!! Thank you for your hard work jagganim!! I notice something interesting tho. I just realized it when I saw your page. So thats why Park Shin Hye has cameo appearance because you also wrote Doctors. I even saw Doctors poster in ToL. I think it was in the On Entertainment bldg. Ohh and whats more intresting is the reference to High Society which was also the title of Hong Ah's script. Right? Then the female lead they've chosen for Hong Ah's drama was the 2nd female lead in the High Society kdrama. Its amazing how you were able to incorporate your previous works in ToL. Arvi Nov 04 2018 5:36 am I don't understand why there are so many negative comments. This drama was really good. 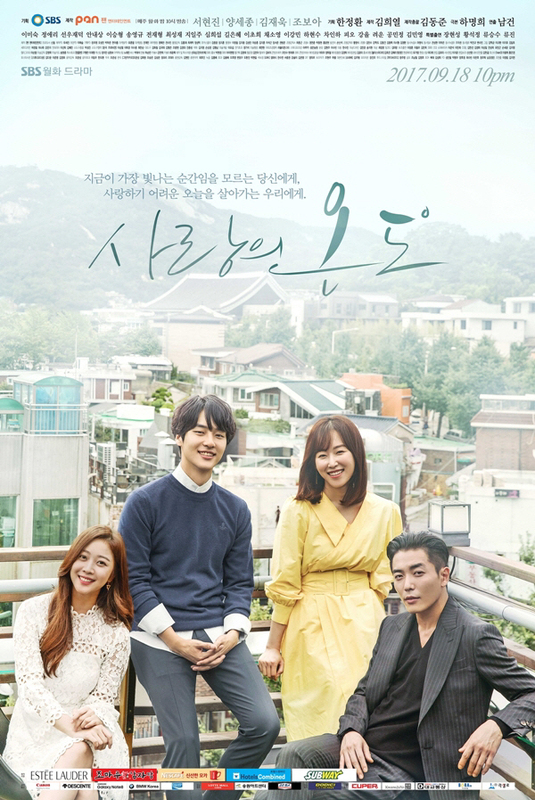 I watched it for kim jae wook and felt disheartened after seeing him in pain but that's because he acted so well.I really really loved the trio.the female lead maintained a balance between personal and professional relationship with her boss.She couldn't quit the job because she signed a contract with Mr Park and he promised her that he eould never make her feel uncomfortable .She never used him. When there was a clash between Jung seon and Mr Park he said that he had the habit of fighting for things and have them. He also said that he wud not give up on her just because of jung seon as he was already between them for 5 yrs.Infact at some point i felt that Hyun Soo is unfair with Jung Seon and i also found it wrong when they said that Mr Park couldn't shake their relationship but he did and thats why there was a fight between the two when hyun soo felt empty after jung seon rejected her offer of living together. There was a dialogue between Mr Park and Hyun Soo when he asked that if it was still a happy ending and she said that she was not sure. I didn't like that that dialogue was not given importance but other than that i liked everything. I also loved the 2nd female lead though she was bitchy but her emotions were expressed nicely and her love story was also a cute one. I loved the assistant writer kyung , she was so cute with directer kim. Noni Oct 06 2018 10:01 pm This love triangle has got to be the most boring in k drama history. Hyun Soo and Jung Seon's relationship was also really boring. What a snooze!! I started out really liking this drama but it began to drag by episode 15. I thought having 2 male leads would have given us some fun push and pull tension but, ugh! This drama was a complete snooze! The male leads were pathetic. The female lead was strong and lovable in the beginning then became completely invisible to me by episode 10. At times, each episode's plot seemed very pedestrian and shallow. Like they were simply trying to fill time with "stuff". For example,the parent's reason for disliking each other... just lame. The love triangle did not feel like a love triangle with the woman at the center at all. More like a Jung Seon, Good Soup and Jung Woon love triangle. Imagine if Hyun Soo actually got together with CEO Park like juuuuuust before Jung Seon got back from France, so the rumor of her being in a serious relationship becomes true. 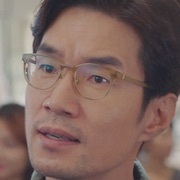 Jung Seon's connection to Hyun Soo remains a secret for a few episodes while her interactions with Jung Seon are filled with tension (because he's acting disinterested and she obviously still has him in her heart). All of this while she's exploring and trying to enjoy a new side to her relationship with CEO Park. Might sound like one or ten other dramas out there but I'd take this kind of story over the snoozefest that ToL was! This drama was so boring I actually started to look forward to Hong Ah's scenes and I really disliked her character in the beginning. Noni Oct 06 2018 9:29 pm The temperature of this romance was lukewarm. Oh so boring! I thought the second male lead would have added some fun push and pull tension, but ugh... this was just boring. Miss T Sep 10 2018 6:55 am I am torn between loving this drama and rating it as mediocre. I love the first episodes up until the boss proposed. And then he kept on being nice to both of them even secretly sometimes so WHY make the big fuss about taking Hyun soo away from Jung sun. Felt a bit forced so that they cld extend the episode. Hyunsoo was a bit of a an annoyance. its either shes in or out but no she has to talk abt work and regrets and doesnt just stand by her man. she was exhausting even I wouldnt date her if she had waited for me for 5 yrs coz she cld always change here mind even after they were married. Overal all the characters mershed well togetheir but it would have been nice to see more commiment from Hyun soo. Miss Critic Sep 05 2018 4:31 am @Leaf, Lopa About Kim Jaewook’s character his relationship with the female lead... I think you’re forgetting one very important thing. He’s her boss. There’s an employee contract with a minimum set of working hours and months. The woman can’t just up and leave her job because her boss confessed to her and she rejected him. That’s the epitome of unprofessional. He doesn’t ask her to either when he could’ve to give himself time to move on. She also maintains as much distance as she can throughout the 5 years. His character says so to her himself multiple times: “you’re drawing a line again, even in this kind of situation”. She never leads him on romantically, only offers friendship and a good professional relationship. Whereas he continually uses his advantage as the boss to make her spend time with him. Also, after a couple months or years, when she didn’t expect to reunite with her first love, she could have been considering her boss romantically. Which would make her rejections less firm, even if she still maintained the same distance. The guy knows his love is pretty unrequited, has known for years and yet jumps a second marriage proposal on a woman who doesn’t even accept his offer of dating. Besides that he directly tells both his two best friends that wants to break them up so he can have the girl. Whether he acts on his words or not doesn’t matter, since his hurtful words alone are enough to cause a strain and seed of doubt on all three relationships. If you still think he was pityful as a second lead, I won’t argue. Because he’s a grown adult mature man, who’s had all the time in the world to sort his feelings. He may have his own scars, but he wasn’t the brightest person when it came to love and relationships. close2yah Aug 16 2018 11:11 pm Im glad i did watched this. No regrets! Storyline is so realistic. Even the characters. Actors are soo consistent with their characters! Love the script... Sigh! Just love this!!! Elba Aug 16 2018 9:59 pm I love the drama, to be honest i do not see why they are so many negative comments. They are great actors that tried very hard to do their part . I wish I can do what they do. Again i think it was different and very good. Mr.Critic Jul 26 2018 2:24 pm I dont understand why people saying this is a teribble script!!!! 3. In my opinion story is quite typical but very unique in their own way.. I can undertsant the feeling of both side male and female lead..
Beewax Jun 01 2018 12:25 pm I enjoyed this drama. Thought they all played their parts well. Lopa May 31 2018 6:09 am This is the first time I realized a female lead character can be hateable.. the two male leads were really great.. I also wanted the chef to be with female lead only hated cause female lead was selfish complicated and kind of shameless.. she should have stopped working with the CEO 5yrs ago when he proposed her but she kept rejecting him by staying by his side working with his company and taking all the advantage for him.. if she would have stopped working with the CEO after knowing his feelings he wouldn't have suffered for so long.. the drama stressed me out but side characters were lovable especially hwangbo and directer Kim.. they were more watchable and cute.. still the drama was good cause it was not about a single character, it was about love between two person whether the female lead was annoying still it's a story not all story can have cute sweet simple and selfless female leads.. this was one of a kind with female lead being annoying ?? leaf May 17 2018 1:49 am PLOT The plot is a mess, the characters are badly written. The writer had so little idea yet decided to make this a 20-episode drama. CHARACTERS Both male leads are so pitiful. And I feel sorry for Jungwoo the most for how the viewers label him as the bad guy as if he’s the one that cause the problems between the main couple, when the problems between them arise because their personality. Except Soojung, the females characters are really bad, especially Hyunsoo. I can’t believe there are people who like this/can relate to Hyunsoo tbh. She is the most horrible character that I’ve ever seen in drama/movie. She is so self-absorbed, fickle-minded, selfish & like to use people (i.e. CEO) to her advantage. It’s funny that the writer makes 2 good guys chasing after this kind of character. The most WTF is when after rejecting CEO countless times, she has the heart to tell him that she would have considered him if Jungsun didn’t come back. ACTING Yang Sejong - People say he’s a good actor, but there are scenes when his eyes looked emotionless & dead when he’s clearly alive. He’s good in emotional scenes though. Seo Hyunjin - Same acting style from her previous dramas (aohy, rdtk,The Three Musketeers). It’s like watching DIFFERENT PEOPLE but with SAME BEHAVIOUR & EXPRESSION. And she overacts too, which annoys me. I had to skip most of her scenes. Kim Jaewook & Jo Boah’s acting are being wasted in this drama, they really deserve better than this. maykee Mar 22 2018 1:34 am The best thing about this drama for me is actually the instrumental soundtracks. Yas Mar 13 2018 1:17 pm I really really enjoyed this drama. I actually hesitated if I should watch this for months!!! But it is all worth the watch. I don't usually give reviews, with this one, they deserve to be praised. I love everyone, they did a good job. Everyone has taught lesson. The couple has a great chemistry, I never smile and felt in love with other romance drama like I did with them, I like the male lead expressions and lines, everything about him is catchy. The female lead was elegantly beautiful, she's not the "cute" type of actress but with her amazing acting particularly with ones that she was making cute face was tolerable to watch(not every actress can do that). It's another ordinary love story, but with great actors and talented writers, this became extraordinary. Hope this love team again in another drama! Good job! blackbeat Mar 12 2018 12:22 am Super nice male lead, fickle female lead, awful second leads, tolerable supporting characters, beautiful cinematography, awesome OST, with some good and interesting dialogues in an otherwise ordinary story. alan Mar 09 2018 4:28 am I enjoyed this drama throughout. I really love the main couple and like many others have pointed out, their chemistry is just wonderful. Seo Hyun Jin and Yang Se Jong make a great pair of lovers. But they really could've made the drama shorter by removing all the unnecessary scenes with Hong Ah. I skipped a lot of her scenes when she's not with either of the main leads. I also liked Jung Woo until he tried to break the couple up. 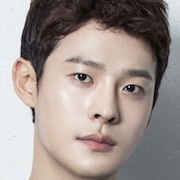 I've been in Jung Sun's shoes so if I were him I wouldn't forgive Jung Woo that easily. My favorite is actually Lee Mi Sook as Jung Sun's mom though. She's just gorgeous. mine Mar 08 2018 7:48 pm At first, I followed this drama episode through episode, until half way I got bored of the couple and couldn't sympathize again with them. I only chose scene where there is Park Jung Woo and some funny scenes between Kyung and Joon Ha. I always thought that it's such a shame Park Jung Woo has to suffer because of fickle woman like Lee Hyun Soo and I failed to see where her charm lies that I used to see at the beginning of the drama. 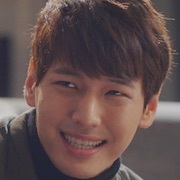 On Jung Sun also lose his charm throughout the episode. I know it's hard to keep the essence of the story for the drama with 20 episodes like this but I really think they drag on the story so much. Although others might think differently about this drama. Myra Feb 18 2018 11:05 am I love this K-drama! Keep doing the great work! Fighting<3 ???? yeye Feb 17 2018 10:04 am when I watch temperature of love, I'm exposed to a second lead role syndrome. I really like Jung woo / jae wook here. I hope he will get a lead role in the next drama ??? Lone Ranger Feb 15 2018 2:11 am This is such a lovely drama. The feel is similar to On the Way to the Airport. If you enjoyed that one, you might enjoy this too. Bogs Feb 07 2018 9:15 am ? June Feb 04 2018 9:30 pm A friend recommended this drama to me a while ago but I wasn't in the mood for romance/melodramas then. After getting tired of watching dozens of thriller/crime/legal dramas last year, I finally started watching this drama and boy I wondered why I didn't start sooner! The story is simple, but the acting, cinematography and OST are just wonderful! I finished all 20 episodes in three days! I think it's quite rare to find a simple yet realistic love story like this in a Korean drama, and I've seen a lot. The two leads are just regular people chasing their love and dreams and they have never met in childhood hahaha. The male lead is also a rare species in dramaland and I wish there are more like him - kind yet firm and never behaves like a jerk. The dialogues are great too and you just got to pay attention to the two leads' conversations. And the chemistry between them is seriously amazing! I've always enjoyed Seo Hyun Jin's acting and Yang Se Jong is definitely a monster rookie! semperlei Feb 03 2018 9:30 pm have high expectations from this kdrama... who wouldnt be.. perfect casting.. but sadly it disappoints me.big time!!! it's been a dragging drama.. 20 eps is not worth it.. sorry.. just felt so disappointed. boink Jan 16 2018 8:23 am TBH, right off the bat, you can see that this drama is boring and most of the scenes felt contrived. But now 17 episodes in, I still can't seem to make myself stop watching. Because despite the underwhelming production, the Jung Sun and Hye Soo couple's chemistry is just too addicting. Amidst the dullness, their onscreen relationship is bright and organic and you want to cheer them on and on and on. As an added bonus, I really like watching Kim Jae Wook. Not to mention Yang Se Jong's powerful visuals. The adorable puppy dog eyes when he's sad and the brilliant smile when he's happy. And of course his uncanny resemblance to Song Joong Ki is a very big plus. Tala Jan 01 2018 7:31 am I enjoyed this drama the concept of love in reality isn't a simple and smooth road every relationship isn't perfect there's always bumps along the way but with the trust and support that you have with one another conveys that love conquers trials. ellie Dec 30 2017 11:36 pm I had such high hopes for this drama. I could hardly wait..since the two main leads are two of my favorite actors...but even in episode 1 it fell a bit flat. Maybe it was so busy.. it just didn't have me pulling for these two like I had hoped too..Still..some how I will see it through because of these two actors. Yet, I still felt the script wasn't nearly as endearing as I'd hoped. Irene Dec 28 2017 4:01 pm Well said @Sonia Kaur !! those who have so much of time to calculate age gap between main leads, and passing the judgments about how old she look in front of On jung sun, Kim jae wook should be paired with her and Jong ah is this and that... I wonder do these people actually enjoy the dramas or they are just here to write negative comments. This clearly shows none of them is here to give honest feedback on dramas and They just want drama according to them, actor should act according to them and writers should write according to them instead of appreciating the hardwork of team. Even i dont like many dramas.. i simply avoid them instead of de-motivating the cast or writers. Grow up watchers. Your comments can make any one feel stressful. These comments can really be harmful for your actor/actress/idols, what good you all will get by writing negative things? Isn't getting aged good for humans? Why to make big deal of age gap? In a love relationship age does matter but its just a last part, first and foremost thing is important in relationship is the respect towards each other, being able to understand each other and being able to support each other in good & bad times. And this what temperature of love is showing. All i know is None of the actor's hardwork is wasted in this drama. lyla Dec 21 2017 7:51 pm The whole time watching i was worried about the ending. I thought the lead female won't be ended with the lead male bcz u know, the second male is perfect in everyway.. I pity the lead male so much, he has so many problems, he barely smile (too bad bcz he's so beautiful when he smiles), he seemed so tiny rather than the second lead male. So when they finally broke up, I was like 'Noo please dont leave Hyun So, you're the reason of his happiness',but It's beautiful how they separated then made up & finally try to accept each other. I love how Jung Sun change to be more open to her. actually their love is beautiful, it's just that ToL has too many episodes so I needed to skip some unrelated matters (which is boring). Anyway because their love is beautiful, I rate it 8. ? have a good day! Dec 21 2017 6:56 am it is reallllyyy fun because of all the fluffs this drama has but it become boring after ep 20. it is just like any other love triangle drama out there. Catrinalynn Dec 13 2017 12:15 am Yang Se Jong and Seo Hyun Jin fit very well as lead stars, beautiful and handsome. Acting job well done along with the rest of the stars? GREAT overall! Gagaga Dec 12 2017 10:27 am I just don't like the character of hyun soo. How stupid... Ceo park its the true love Actly every character ondrama that seo hyun jin take's soo annoying from lets eat and another miss oh I watch this cz of kim jae wook Loooveee kim jae wook sooo muchh. mylene Dec 07 2017 12:48 am i started watching episode 1 but i read some not so good reviews and now im hesitating to watch it. i want to try this one cause the chemistry between the two lead is undeniably obvious. :-) Dec 04 2017 11:16 am The most cliche drama of 2017. Another love triangle + culinary drama. pointtobenoted Nov 30 2017 3:21 pm Kim jae wook******Kim jae wook*******Kim jae wook Only reason to watch this drama. boah-c Nov 29 2017 10:33 pm I really enjoyed the dialogue and the adoring gazes between the two leads. That's how two people who are in love should act in presence of each other. Top notch acting. Mownah Nov 29 2017 8:15 pm I love the drama specially the lines. Oh it's awesome! Congratulations to the team... the actors and the whole staff... awesome! Mae Nov 29 2017 5:48 pm I love this drama. ? Steve Nov 28 2017 1:22 am Ep. 30 AWESOME. All JS could do is make soup while Park got HS's mom the surgery. I'm sure the main couples will get back together, but I'm enjoying the alternate couples right now. K_Lee Nov 26 2017 10:47 pm Personally for me the storyline and the actors were just perfect, I can't imagine anyone but the current actors to portray the characters. I loved it! Nidhi Nov 26 2017 9:59 am I only watch this drama for Kim jae wook. But writers poor writing skill ruined everything. Story have no flow and no character development. I don't feel Jung Sun character as a lead should have to. AND no chemistry in main couple. ALL THE secondary character's are good. But story was not upto remarkable. Not satisfied with the ending with the CEO park jung woo character. Whole drama around 80 percent his character was too lonely and no one trying to understand him . He always help or try to solve everyone's problem but there was no one besides him that hurts alot. After whole emotional and loneliness suddenly in ending writer found nothing for him and made a change of his heart and made him neglect his feelings .So bad story. 999 Nov 26 2017 12:40 am Writer, director, cast, I support you. They can say whatever they say :) poor them who hates it but took their time to write a comment ;) The fact is I enjoyed the drama so much. I love On Jeong Seon's character, with all his flaws on his family side. I love how Jeong Seon & Hyeon Soo finally resolves their relationship problem. 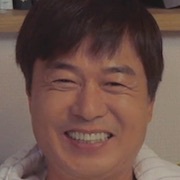 I love how Jeong Woo finally smiles--I don't like him when he looks so boring and frowny. The side love stories also keeps the drama entertaining. Gizibe Nov 25 2017 11:59 am @Yulnit @Judith SAME! Yulnit Nov 25 2017 11:07 am I didn't enjoy this drama, I watched this drama for second male lead and Woon Joon - Soo Jung chemistry. Judith Nov 24 2017 10:24 pm I watched this for Kim Jae Wook; unfortunately, his character was poorly and inconsistently developed and left with an unsatisfactory ending. I never bought into the two leads as a couple, they seemed quite mis-matched and the writing did not convince me otherwise. It was nice to have Kim Jae Wook to look at, but in terms of a drama, I was sorry I wasted my time with it. The Hong Ah romance was equally disappointing - she was a terrible person, and her then ex-boyfriend dumped an excellent character to run back to her . All the characters seemed to make terrible choices and it was impossible to care about such a feckless lot. Nana fr Indonesia Nov 24 2017 8:38 am I love this drama no matter what..
monica Nov 24 2017 1:19 am Stop halfway and heard that the ending was too cheesy. I started because of the main otp but halfway I came to pity and like our second male lead. However, the storyline is slow and gets more and more ridicilous each episode. What a pity as the actors here are of high reputation but unfortunately I really did not enjoy the drama at all. I love the otp is Romantic Dr Kim more. Hope Kim Jae Wook will have another drama as a lead. His role here is so pathetic, poor guy. The other casts are so insignificant, lol. From Indonesia Nov 23 2017 10:23 pm Agree ! The script is really terrible althought all the cast was good. We can see Seo Hyun Jin and Yang Se Jong in Romantic Teacher, they can play their part really good. Such a waste. gobanana Nov 23 2017 7:46 am This drama has failed to invite more viewers not because of lack of chemistry. The main leads have chemistry but it became so dragging and the issues took a while to resolve. It became tiring and painful to watch. They have good leads in this drama and I am a fan of SHJ. I think she’s a great actress and she never fails to create strong chemistry with her drama partners. 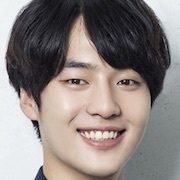 Yang Se Jong has depth in his acting. What really went wrong in this drama was the story. The CEO pursuing Hyun Soo even knowing that she is dating the chef became unbelievably ridiculous. The side stories are boring. This drama started off strong and convincing then later on as it progressed, the spark went away. The only reason why I continued to watch this drama was because of the main leads. The story didn’t really captured my heart. The last 3 episodes was so cheesy. Too bad. CP Nov 22 2017 9:21 pm Why some dramas make characters that are twisted and wicked and then forgiven and redeemed in the end as if nothing happened. Why invite JW and HA to your gathering after all they put you through. JW could have had been paired with someone else. redblack Nov 22 2017 2:32 am Bye, Jung Sun! Bye Chef! Nice to meet you. Lunia Nov 22 2017 2:26 am Finally it's the end. Since I'm rooting for Jung Sun and Hyun Soon from the beginning so I'm satisfied with ending. It just poor Mr Park, someone somewhere is made for you. Thank you all the cast and crew. Fighting!!!! pjewel Nov 21 2017 6:36 pm Fully agree with the comments for JW. His acting is the best compared to the 2 main characters. Only watched when JW is on the screen otherwise just skipped all the craps. fr Nov 20 2017 11:49 pm What a waste of great cast..
Lei Nov 20 2017 8:33 pm Finally they are all gotten there feelings back to each other.its seems that the end is near. But Mr.Park makes me cry it hurts to hurts Hopefully theres no sad til the end. 789 Nov 20 2017 3:02 am Hyun Soo's character makes me tired. But I really hope a happy ending for Jung Sun. I hope the writer won't let him be heartbroken. I hate sad endings for the main characters. And I hope Hong Ah will get her lesson. Let her lose Won Joon. 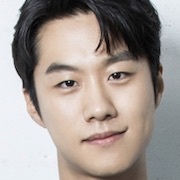 I could like Jung Woo if only he was more cheerful. gstvpoe Nov 19 2017 11:13 pm at first i saw this drama bcs i like seo hyun jin.. for a couple episode i think its quiet good, but after 9 episode i stop to watch.. hyun soo has annoying character and between hyun soo and jung sun, they don't have any chemistry. hong ah also annoying.. the one who do best acting just jin wook.. and i have to say sorry that this drama has bad story line and character. Lunia Nov 18 2017 5:56 am This drama will end on 21st Nov? So it will double ep on the last day of the drama? pjewel Nov 16 2017 6:20 am Normally I enjoy watching the main characters of Korean drama. But sad to speak HS's character is the worst of all. The rest of the casts are so much better off than her, especially Jung-Woo, Won-Joon & Soo-Jung. Each time she HS & SJ appears on the scene, immediately will fast forward....terrible characters. morewe Nov 16 2017 2:48 am writer you did a great job..I can connect well to the character's especially king sun...and hyun doo....fighting...will look forward to more of your works...fighting!? Bb Nov 15 2017 11:37 am Omg this girl so insecure and undecided. The fact that she is older than chef should make her think wisely and more mature. There is no man in this world would propose to you if he doesn’t truly loves you. hellow.. It’s true that chef On personality little stiff and straight forward , he is quiet , and reserved , far from romantic type . but we all can see he loves her so much. I will be so happy if my man can cook for me all the time like him. Aw.. It's not easy to work with someone you love, who loves another man. But JW did a good job at this. He's honest with his opinion on HS's script about sad /happy ending. Being turned down for several times is not something anyone can handle unless you have a very strong and stable emotion. He is rational when it comes to business. Oh God, where can i find a guy like him? I like JW's script. How he said " I don't take anything else when I have something I like." "I can tell how you feel just by looking at you." "If you're uncomfortable, go ahead." "I dont rob empty house." I think i have a major second lead syndrome. Hahahaha. Hope to see JW ends up with HS though it's not possible. MN Nov 15 2017 4:18 am It has good meanings. If you ever in the situation you will understand how it feels. Just like me. I always doubt and doubt being in love, cuz im broken home. I become stronger but I just doing what I don't want to from my parents. I take the chance to be kind. Like jungsun. I really like this kind of drama. And only several person would decided to watch cuz no much amount in this world, have same problem. Like broken home one. Steve Nov 15 2017 1:23 am I have a different take. I'm on ep 24 and I like the change. I'm glad Park is messing with the chef. Ever since he came back, I've thought the chef is an arrogant punk. He wanted HS back but said she'd have to work for it. He should've been grateful she wanted him. Rhyss ikram, dr Nov 14 2017 4:51 pm Temp of love...ugh... Let’ move on & Just go watching witch court, this is my 1st life, the package, meloholic, mad dog....these are indeed a whole lot of interesting, warm, beautiful, make-sense & meaningful stories... Happy watching everyone... oct & nov seem to bring more great dramas.. FAN?? Nov 14 2017 11:19 am not a fan of any of the main leads BUT have seen them and watched some of their dramas even enjoyed some but this is really getting couldnt say what but hard to watch!! almost skipping all some scenes,.. frustrating!! Nov 14 2017 11:09 am it would be a hit if she knew her true feelings,. have watched it till latest ep32 and she just went haywire LOLS!! wouldnt have FF this drama if it aint for the damn characters,. CP Nov 14 2017 9:43 am The ratings speak for itself. Even Knetizens have jumped ship. Drama had a good flow up until when they flipped JW character. I will continue to watch in support of actors. Hannasj Nov 14 2017 6:53 am I dislike how inconsistent this writer is with her writing. Especially the director, Jung Woo. Ok he's a really good guy at first then he became this petty, selfish and might i say bad character then all of a sudden he become good again helping hyun soo and jung sun especially without asking for anything in return. Its like the writer are trying to appeal to us viewer to like him after hating on his attitude few episodes ago. And dont even let me start with Hyun Soo. How i despise how whiny she is. What kind of irrational expectation do you have for Jung Sun? Girl please stop making this all about you and you only. Its not like this is the first time she is in this kind of situation. 5 years ago almost the same thing happened and guess what she chose her career a.k.a herself instead of Jung Sun. And now sigh im sure she will once again chose herself, pathetic! Well its not like Jung Sun is that perfect, he has his flaw and that is trying to make everything seems ok and perfect without real communication between him and Hyun Soo. Boy that is not how a relationship work, you need to learn to share tids and bits about yourself with your partner. If not, its just a shallow relationship with slight nudge from the wind it will shatter for sure. Now i just want Jung Sun and Hyun Soo to break up because honestly, Hyun Soo doesnt deserve Jung Sun with her kind of attitude and feelings. Stop making him so pathetic while delusionally make yourself look more pathetic when you're actually not. Just say la you want the stable and charismatic director, end of story. Easy right. Haishhh i'm so not watching drama from this writer again, she's making me full of spite! Gobanana Nov 14 2017 4:17 am This drama is a downer. The only character that I truly sympathize with is the chef. I am thankful that at least he’s got one true friend backing him up. Everyone else are like thorns in this drama. It’s a gloomy story. Hyun Soo doesn’t deserve the chef. He is too good for her. Hyun Soo doesn’t really love the chef. Her character is too self absorbed, too selfish. She’s like a whiny little girl who cries when she doesn’t get her way. At this point, the writer can just end the story with them breaking up. I’d rather see the chef break up with her and have a successful career. Her mom is rude. I think Hyun Soo got her mom’s personality. And don’t even get me started with the CEO. Him and Hyun Soo can marry each other because they are pathetic characters. They compliment each other. And the writer of this drama can take a long vacation. This drama annoyed me so much. What started great has now become disappointing. If you decide to watch this drama, make sure it’s spring or summer...the sunlight protects you from getting depressed. And yes, I did say this is a real downer drama. Kudos to Seo Hyun Jin and Yang Se Jong for acting well. Next time please get better projects. Hyun Soo is getting on my nerves, she's so fickle and weak. She should be the one working harder for their relationship after pushing him away 5 years ago. Jung Sun may have wavered last week but he redeemed himself greatly in last episode, he has started to open up a bit more to her about his worries but she doesn't seem to care anymore. She's just being unreasonable, selfish and petty. flip tables* I think I need to find another drama to watch asap because this one (as expected with this writer) is started to lose its momentum. I only stick to this for the cast (mostly for Yang Se Jong) but I'm reaching my limit. Se Jong~ah, let's choose your next project more wisely next time. What a waste of a great cast! Lunia Nov 13 2017 7:13 pm @CP Yes 'Because It's My First Life's will make you smile. I also started following this drama. As for Temperature of Love, no offence to the actors. They have done their job well, it's just because of the drama plot. Getting more annoyed, I really don't like people who taking advantage, that's what Mr Park being portrayed. Perhaps I just wait to watch final episode. Depends on the preview. Anyway all the best for Yang Se Jong,hopefully you will working with better writer/director. You are very talented., don't waste it. 라라 Nov 13 2017 5:11 pm Yep I’m quitting this drama... I tried to hold out but the plot just keeps increasingly getting worse and worse. Simply terrible. CP Nov 13 2017 12:53 pm Watch Because It's My First Life. You will not be annoyed or bored. Keightie Nov 12 2017 10:35 am Watching temperature of love and now now on ep 18. I like how Bo Ah build up her character first part of the drama but watching her now she looked like a child throwing tantrums. Im not sure if its how the director asked her to be or the way she acted the role. Shes turning to annoying. Actually its been awhile before i picked up the drama again bec it too calm for me and was on the edge of being boring. I guess im into rom com and the comedy here is too bland for me. Nothing seemed exciting that makes me want to look forward the next episode. No chracter on the show is energetic. Its the whole theme of the drama i guess. I dont think its the actors. all the actors of the show including the supporting cast ive watched them and i like them all and did extremely well im acting their roles on thenpast. So im thinking its the theme and the overall production of this drama. Bao Nov 11 2017 12:27 pm Okay, the actors are good however the storyline is boring at first. The first few episodes are so slow, it starts getting interesting at like episode 11. At episode 30 it seems like the ending is going to be sad. I don't like that's it's slow however it depicts real life really well. This drama isn't a good idea to watch if like, you're looking for something exciting and stuff. I feel as though it's a good drama to watch just to pass time. HAPPY ENDING PLEASE Nov 11 2017 11:23 am I can't stop watching. After watching episode 30, I m really worried, REALLY REALLY WORRIED THAT DRAMA will end up with sad ending. Please i want that drama will happy ending. Please happy ending???? i will get sadness if that drama will end up with sad ending. Therefore do not make the audience disappointed with the ending of the drama. Love Nov 11 2017 11:10 am I love them? thinnpwintphyu Nov 08 2017 9:09 am Firstly I m not the fan of actor or actress or anyone from this drama. However, after I started watching this drama , I cannot stop watching. After watching episode 30, I m really worried that drama will end up with sad ending. Please don't make Hyun so leave Chef oh. Please....................the life of chef oh is very sad. It is more than enough to suffer him coz of his parent. Now only he found his happiness coz of Hyun so. Please let them have a happy ending. Nana Nov 08 2017 7:40 am Actually, this drama have good ost, good main leads, good cinematograph, but.. The storyline is hurtfull without meaning. Love is hurt and it show stupid choice. Lunia Nov 08 2017 5:28 am In this drama it seems like LOVE RUINED EVERYTHING and it's hurtful. Unlike 'Hospital Ship' love is everything how the partner is calm and very supportive. I also have high expection but now the temperature is going to negative. Really sad to say that. Nana Nov 07 2017 8:40 pm I’ve high expextation with this drama coz i love the main leads. But unfortunately, the storyline become more annoying and boring. And i think 40 ep is too much. Lei Nov 07 2017 8:16 pm Todays episode is full of heart ache. GorgeousGirl Nov 07 2017 1:03 pm Just my opinion. The storyline is getting a little bit more messy. And im starting to lose some interest. The main leads are getting more annoying. k Nov 07 2017 11:52 am im not sure if i should continue with this or not . im getting annoyed and boring at the same time . i love all the character i love all the actor but the storyline become more and more boring ! Lunia Nov 07 2017 10:58 am Ottoke??? Now I'm starting to get annoyed. Ha writer, please do something. Now I'm getting swayed by Witch Court. Huhuhu I don't want to start stop watching and just wait for the last episode because I want to continue support this drama. Anyway, fighting On Jung Sun for your love!!! Stay put and strong. Lala Nov 06 2017 8:46 pm The main leads are starting to annoy me so I’m just going to root for Won Joon and Soo Jung. nidhi Nov 06 2017 3:38 pm I love Kim jae wook. I want happy ending for him. Rose San Juan Nov 05 2017 1:03 am I hate Chef On. He should not have come back. I want Park Jung Woo for Hyun Soo. They look so much better together. I hope they change the story this time. Just like the story Hyun Soo wrote Kind Soup blah blah. I hope Temperature of Love has a sad ending for Chef On. Shipping JW and HS!!!!! 시크릿 쥬쥬 Nov 02 2017 8:04 pm 1. I really love Choi Won Joon and Lim Soo Jung. Hong Ah had been taking advantage of Won Joon and his feelings for her and using him as a punching bag. When I saw him I instantly liked him and I believed that he deserved better. Soo Jung is very straight forward and truly likes him. I really hope Won Joon can move on from Hong Ah and him and Soo Jung become a couple. 2. Park Jung Woo is a heartless and ruthless person. He needs to realize that when someone is truly in love you can’t “steal” them or “sway” them and the extreme methods he’s doing to try and get her are actually pushing not only her but his best friend away. His character is so horrible and the only thing he needs to do is give up. 3. Jung Sun’s mom is so aggravating and I’ve tried so hard to tolerate her because she’s been through a lot but how can you call yourself a mother when you go behind your son’s back and ask his friend for money. 4. Jung Sun is not responsible for what his mother did. If Jung Sun’s mother asked for money then she’s the one who should take full responsibility. Although I want him to part ways with Jung Woo something’s telling me that it’s not a good idea to sell his land either. I hope everything gets resolved in a fair manner. Kb Kim Nov 02 2017 2:51 pm Please, let Hyun Soo stayed by Jong Son side !! I feel so sorry for him!! What did he do so wrong that he got to deal with mass this ??? Please Ha Writer!!! I just want a happy ending for Ous Poor On Chef !! Lunia Nov 01 2017 2:56 am It's been awhile I watched k-drama with such emotion and sometimes being carried away. Usually other drama I just watch and that's it, even skip the episode. Unlike temperature of love, if the ending of the episode on that day was sad, I some kind of feeling it too. Ms writer Ha, please make the ending happy so that we can closed the drama with a smile on our face. Ying yang Nov 01 2017 1:33 am If this happens in reality, if i were Mr. Park ill choose jung sun bc fighting over a girl is immature especially when you already lost in the first place. I think Mr. Park just need ACCEPTANCE. I can see his pain but.. Is it worth fighting for? Ying yang Nov 01 2017 1:25 am My heart breaks as i watched the ending of ep 26, i can see how hard it is when its about dealing money. His mom is also frustrating and so does Mr. Park. Im glad that Hyun Soo understands and never leaves his side and Jung Sun never gets his temper out of hyun soo. Lunia Oct 31 2017 8:14 pm Gosh, epic 26 is depressing. Must be hard for Yang Se Jong because so much expression need to express anger, self esteem, anxiety, lonely. Fighting! Just like the title, degree of cold, hot warm were shown. Some people may find this drama boring because it's played with line and emotion. All the best chakkanim. I'm always support Jung Sun n Hyun Soo? frxzhxl Oct 31 2017 9:03 am Seo hyun jin's character in this drama annoyed me so much. It feels like she takes advantages of Park Jung Woo feelings for her. Guiltypleasure Oct 30 2017 9:19 pm For people who is persistent fight saying yong se jong acting is excellent, extraordinary, and genius or monster actor etc... let's see his achievements such as awards etc in the future together. Those stuff will prove objectively what you're saying. Lunia Oct 30 2017 7:43 pm Chefnim don't give up, fight for your love and 'Good Soup'. Hyun Soo ,please keep giving support and love to Jung Sun. I think now is the critical moment for this drama. 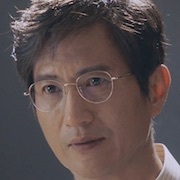 As for the ending of episode 24, Mr Park really off the limits. Nobody can stand being treated like that. Lee Oct 30 2017 12:48 pm I’m 4 episodes into the drama and unfortunately the lead female character still leaves me uninterested. The scriptwriter probably is too close to the character - writers don’t always do good jobs depicting writers - but by now I would have expected some character development. Too many characters seem stereotypes or plot devices. Sorry, other watchers - this is my opinion. Even good actors can’t always inject life into scripts. Ren Oct 29 2017 10:21 pm @yeung. Strangely I was overwhelmed by emotions every time JS staring at HS silently. It's like his silent tell it all.lol and yas their chemistry tho..... I love them yet I got jealous whenever they showing their affection toward each other. I will never meet someone like JS in real life tho. Yeung Oct 29 2017 9:33 pm I have seen all the main cast previous dramas, from Voice, Romantic Doctor Kim, and Duel. Both main leads very talented, this is not their first time collaboration, but it's their first time become love partner . Yang Se Jong has great chemistry on screen with Hyun Jin here, the only thing that sometimes makes them looks awkward , I think is sometimes the "long pause " between their dialogue , the writer maybe need to fill up script little bit with more sentences or gestures or whatever ... , I don't know how to explain but I feel they become awkward once they stare at each other too long . It's still very romantic tho.. and the cinematography has been done beautifully , I like the special color black and white effect and the instruments . Overall, I enjoy this drama and love that they work together again after their Romantic doctor Kim. Thumbs up. Guinevere Oct 29 2017 3:52 pm My comment below was directed to @BigolWhale. Guinevere Oct 29 2017 3:49 pm Let's agree to disagree then...should I feel butthurt when most K-netizens agree with me on his acting skills. Yang Se Jong's acting has been constantly praised by them.They like him and think he's an actor to keep an eye on in the future. He even earned the nicknames "Genius Actor Yang Se Jong" and "Monster Rookie". 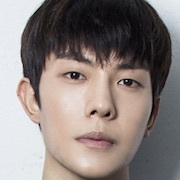 He only debuted in 2016 (only acted in 3 dramas before this one) and alreadly landed a lead role. Plus, he also received many movies/drama scripts that he didn't review yet because he's too busy.If he was as bad as you try to make him out to be, do you think he would be this much in demand? 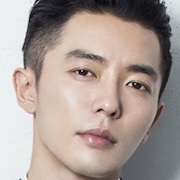 I don't hate Kim Jae Wook (rather the opposite), I'm just pissed with some of his fans who had a prejudice/bias against YSJ even before the beginning of the drama. Blaming him for the lack of chemistry, low ratings. Criticizing his acting, greenness........when the fault clearly lies with the writing. Ha Myung Hee (the writer) is well known to write strong premises (ever watched High Society, Doctors?) but all her dramas tend to falter in the second half. I was wary about her (and rightly so) but still wanted to give the drama a chance for Yang Se Jong's sake. I'm not saying it's a masterpiece but it's watchable and unlike you, I think the 4 leads deliver top notch acting. They are truly the saving grace of this drama. nidhi Oct 29 2017 1:55 pm I love park jung woo character Most in this drama. He is my only reason to watch this drama. Even if he turn into negative character I will support him . I can't stand watching Him hurt all the way in this drama. So oppa I'm with you always. You called me a butthurt Kim Jae Wook fan. I can easily turn that back on you, and call you a butthurt Yang Se Jong fan...and I guess I just did. I respect your opinion, that you think the cast made up for the rest of the show, but I disagree. Only two of the leads (Hyun Jin and Jae Wook), and one of the side characters (Song Young-Kyu) had expressive and entertaining acting.The rest of the cast's acting was very cliche, stiff and amateurish. Even you said the show is very far from perfect, and that's why I think it's not worth watching. Guinevere Oct 29 2017 3:30 am @BigolWhale Yang Se Jong's acting is boring? Thanks for the laugh. Number 1 "You didn't watch Duel" Number 2 "You're a bitter/butthurt Kim Jae Wook fan"------> A la Park Jung Woo style. The show is not perfect (far from it) but the talented cast make up for it imo. Lee Ji hoon Oct 29 2017 1:29 am for yang se jong and seo hyun jin you are very good acting ... and here the appearance of jo bo ah interesting, it seems pretty good if jo bo ah portray the antagonist figure in the current character ... fighting for all the cast, special support also for park shin hye. BigolWhale Oct 28 2017 11:14 pm It's very boring. The editing of the first episode had me hooked!, but as time went on it all faded away and the novelty was gone. All I was left with was lackluster acting, music and story. Yang Se-Jong's acting is boring, Seo Hyun-Jin did a good job, but she is better than this. 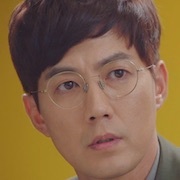 I felt the same way about Kim Jae-Wook, his acting in this was great (probably the best acting in this show), but his acting in Voice was magnificent. Lastly, the story just drags on and on, making the show even more boring. Beautiful scenery and camera angles can only go so far. I had high hopes with Hyun-Jin and Jae Wook on cast, but I do not recommend watching this show. jnx325 Oct 28 2017 10:19 am I ❤ this drama period , intelligent & honest conversations.I will watch until the end. ooolala Oct 28 2017 6:15 am Seo Hyun-Jin is so great in OHY, but not that great in this drama? (or is it just me) :( Perhaps it's the script or story plot. I dunno. I kind a confuse when begin watching TOL though. The bridging between each scene are not too smooth, makes me confuse when watching it. Moon Lovers: Scarlet Heart Ryeo Oct 27 2017 4:01 pm Alright.. So, I'm writing this comment because I saw somebody mentions about this drama. Yes, that drama had a bad ending but i must say, it was a very great drama. For me, i love dramas which give me enough emotions. That drama was a flop according to the koreans, idk why, they must be insane but for me, i enjoyed it till the end. P. S. Yes, I'll watch this drama when it ends. I haven't watched it, yet. But this looks promising because i like the lead. I've seen her in Romantic Doctor..
@Guiltypleasure I'm still annoyed with the fact that a great drama like "Seven Day Queen" suffered bad ratings domestically. Ratings don't always reflect the quality of a drama fyi. Patience Oct 27 2017 11:04 am @Guiltypleasure, it's silly of you to come here and check after you've dropped the drama and I choose to reply you. I've seen your comment somewhere too and it could be under a different name. You're so damn proud and bragged that you stopped at ep 17, you have the same taste as majority of the koreans wtf?, don't even watch the epic kiss scene and etc. So damn what? Why not you go straight to the point of your main objective, that is to dampen the spirits of those who are watching and enjoying the drama. You can watch whatever drama you like since you're an online viewer. Every individual has his/her own taste. Moon Lovers Scarlet Heart Ryeo was so good albeit the low ratings. In fact, I should be laughing that you watched till ep 17, if you really did, yes if you really did because there is a reason you chose to say 17. Just move on and watch only your highest rated dramas and don't come back here to check, in other words, I'll be happy if you don't read my comment and reply. lol wtf a person cares about watching a drama like watching stock market. Jin Joo Oct 26 2017 1:03 pm I like the drama.. The Flow of the scene makes me feel vibe. This drama have a full of "LOVE". The two main lead character are also my favorite in their hit drama romantic doctor teacher kim.. THUMBS UP!!!???????? Very Positive Drama I"ll stick to it until the very end ??? Ren Oct 26 2017 3:55 am Tbh... I don't really care about eating or so whatever. As long as I enjoy the drama. I'll go on until it's end. But these people who bragged about how low the rating went down lately and even laughing it off. Made me somehow fell bothered. This drama is a mellow drama. And IKR I can find this kind of drama everywhere. And cliche drama. But there is something that made me keep hook at it. If you found yourself boring its your taste. But mocking the d4ama's rating everywhere... don't you think about the writer and other? And yes I watch other drama in the same time slot too. There are major difference between one of another. You can watch all drama you want. Enjoy them without comparing to other drama. It's ruining mood. Fighting TOL... you know every time I watch TOL i can't stop myself from smiling from ear to ear. Heartwarming and lovely.? Bob Oct 25 2017 3:09 pm Park: "now is the time for true friendship..." wtf, a good friend doesn't make advances at bro's woman. CappiA Oct 25 2017 5:50 am Feeling so excited! Get to see you, Yoo Hye Jung (YHJ), in Temperature of Love ep 21 at 23:52 mins... You said to PJW: "But why are you outside"... "If you act so formal, I like it.".... Although your visit with Park Jung Woo (PJW) & Lee Hyun-Soo was short yet it certainly left us feeling so delighted. Like those few scenes you're in as you guys created a good ambience. Now we smile a lot more than before Park Shin Hye, Saranghaeyo! Cast & Crew of Temperature of Love Fighting! Bam Oct 25 2017 1:28 am I guess Hyun-Soo will leave two of them. In the opening screen there's no Hyun-Soo pic, only good shop member+Jung-Woo. ying yang Oct 24 2017 4:24 am AHHH can't believe mr park is being a jerk!!! I mean let the two have their own lovelife. She knew him first :( im sorry mr park im hating your character. laluna Oct 24 2017 1:50 am I love Kim Jae Wook .. Saya juga terkena Second lead syndrome nih seperti nya.. ^^ Dari dia terlibat dalam Kdrama Coffee Prince sampai saat ini saya tambah terkesan dengan akting nya.. sangat suka.. berharap pada suatu drama nanti dia akan menjadi pemeran utama bukan second cast..
Abcusa Oct 24 2017 12:14 am I am team Good Soup all the way. Like CEO at first but not anymore after ep 20 , true friendship won't stab your friend's back like that keep proposing to the girl , even he knows chef and Hyun So love each other. That just not right. But I love the drama and all cast.. hope the storyline keep moving and interesting... can't wait to see what's next. Silver Oct 22 2017 9:37 am I love this drama. The best of 2017 so far as far as I am concerned. sugarpie2u Oct 18 2017 8:58 pm OMG!!! I just love both the actor Kim Jae-Wook & Yang Se-Jong!!!! Fighting Oppa! Arif Se. Oct 18 2017 9:39 am It doesn't aired on 17th Okt, why? I have to wait untill next week for the next episode.. I love the character of On jung sun.. what a nice and mysterius guy, clear and straightforward about his feeling and a little bit cold hearted, but that's his charm. And he is so patient as a boss of his restaurant to his employees. I fall in love with him too..
maga mix Oct 18 2017 8:16 am omg!! this drama makes me crazy .. i cant wait to see more bout their love..
Kat Oct 17 2017 10:27 pm Wow! Choose teens, 20s or 30s versions kiss. I want all plus refrigerator kiss... Lmao! Yang Se Jong & Seo Hyun Jin, your kitchen kiss was damn HOT!!! whynot Oct 17 2017 2:30 pm this is a nice drama. makes you smile somehow without knowing why. the actors are good and the second lead is great. still a lot of cliches like two guys loving the same woman and the new much younger boyfriend cliche. amidst the sweet romance between the leads and overall nice feeling of the drama i cannot though understand how is is acceptable for a woman to selfishly keep accepting help from a man who she knows loves her but she does not love him back. vinvin Oct 16 2017 9:12 pm i looooooooooooooooooooove the kiss scence >,< the best kiss in korean drama i ever watched. Love both of them. Both of lead in that two drama have great great great chemistry. Lunia Oct 16 2017 8:29 pm Wow... Teens kiss, 20's version? 30"s version? I'll take it all and add refrigerator kiss.... Hahaha I'm the one also flattered and smile all the way...... ? Guiltypleasure Oct 16 2017 8:27 pm My taste always same as koreans taste. When I feel a drama boring, usually the rating is low . Kind Soup Oct 16 2017 3:17 pm Kyaaa!!! Oh my god! The last scene in ep 18 is the best! One of the best kiss scenes I have seen in a while but at the same time I feel so bad for Jung Woo. Jonga Oct 16 2017 1:11 pm OMG! the kitchen bench top kiss is so romantic. Their chemistry is off the charts. You can trust on these good actors to deliver. Suci Oct 15 2017 8:24 pm i love this drama from their first episode. It cause the character On Jung Sun and Hyun Soo. They both have strong character, and i really love that. I fallen in love with this drama. Dextor Oct 15 2017 10:36 am This drama is special because the writer gives us many good meaningful lines. There are many honest discussions between the leads and they love in an era that is difficult to love. If you don't like to focus your attention on dialogues then this drama is certainly not for you. People find it boring because they are so used to watching fantasy, triller, event driven romance. A plain love story, character driven drama is very rare nowadays. I can debate on the main characters with my colleagues who watch the same because we may have different perception of the characters. This drama should be enjoyed by people who like to read love story novel. Don't you realise all love conflicts in dramas are common? Cmeem Oct 14 2017 11:05 am It will be an absolute letdown if they turn Kim Jae Wook into a bad guy. Lunia Oct 14 2017 5:11 am Hmm... Perhaps Park Shin Hye could become the ladylove of CEO Park Jung Woo. Let him remain a good person. NN Oct 12 2017 10:08 pm @fairy write your own story and lets see is it much better? I think everyone has their own preference. Just don't watch the drama if you think this is boring. Cheshire Oct 11 2017 11:23 pm Seo Hyun Jin and food is inseparable ? Been watching her performance since Let's Eat 2 and she's definitely a wonderful actress. IR78 Oct 11 2017 10:14 am Second lead syndrome..? ruby Oct 11 2017 7:41 am I fell in love with this drama, Hyun Jin's acting is SO good i'm impressed, I never felt so impatient about the release of an episode. nidhi Oct 11 2017 6:58 am Kim jae wook.....character I like the most in whole drama. HE also deserved to be happy. His loved one love someone else how much he was hurting the feeling of heart stabbing...His heart was crumbling piece by piece. His favourite man and woman hurt him. Nitsuga Oct 10 2017 9:13 pm Done watching Episode 13. This was supposed to be great but I think I'm done with the show. When the bestfriend becomes the antagonist I think that's just lazy writing. I'm still fan of the leads though. Lunia Oct 10 2017 6:24 pm Hyun Soo and Jung Sun deserve each other and to be happy. Miss writer please do not turn Jung Won into evil, let him befriend with the couple. Anyone has read the novel could share the story in the novel? Lea Oct 10 2017 5:51 pm I like both JS and J'W's character they both deserve love from HS. What gonna happen to thier friendship now that JW know about that the man who disappear is JS. Can't wait for next epesode. Lea Oct 10 2017 5:43 pm I'm soo excited on what gonna happen next now that Mr. Park already know their relationship. Can't wait..pls dont make him bad in the story. THUMBS UP ???? Ren Oct 10 2017 5:37 pm I'm so in love with the lead couple..HS and JS has overwhelming chemistry and look good together despite their age gap. But... why I feel so sad seeing JW found out who HS falling in love with. Ikr I'm so greedy i want HS with both of em... why no preview for next eps??? Lunia Oct 10 2017 2:55 am Owh... Just finish ep 14, it's getting excited. Will they restart the relationship? Will Jung Woo proceed his proposal? Zandra Oct 09 2017 11:43 pm The second lead sydrome is strong in this one!! Zandra Oct 09 2017 11:41 pm I really like this drama. It is not your typical kind of romance. You'll always think what will happen next. Keep up the good work writer-nim!!! Lunia Oct 09 2017 8:54 pm Kudos to writer and director. Love the line. They are brilliant in getting viewers to wait for next episode. First love not easily to fade, it still remain in the one place of your heart. Maria Oct 09 2017 3:45 am I love Kim Jae Wook! Can't believe he doesn't have a starring role yet! Eyes Like Stars Oct 08 2017 4:16 am Kim Jae Wook is such eye candy. He's so handsome and manly in here you can't help but fall for him. Nitsuga Oct 07 2017 10:24 pm Kudos to the writers! The script is so refreshing. I love the conversations between the leads. However, I hate it when the bestfriend becomes the antagonist. rthtrs Oct 05 2017 5:43 pm Why you are doing this to me? Writer-nim, director-nim, you really make me can't wait for the next episode! ndt Oct 04 2017 8:20 am im waiting for the next episodes and curious about the love story between handsome-namja Jung Sun & pretty-lady Hyun Soo. also the plot is really good. now i realize that Life+Love+Running really perfect combination. Fighting & Good Luck! Tks. Lea Oct 03 2017 7:15 pm This is interesting from the first epesode???? For remperature of love cast. Why chef your soo hard to get?? but i love it...can't wait for the next epe?? mij Oct 03 2017 1:28 am love this much! Lunia Oct 02 2017 11:19 am Arghh, why chefnim a bit cold towards Hyun soon. Haha thought they would trap in the cold room and remember those old days. Almost got kissed but again... Hmm maybe chefnim feels very hurtful. Chakkanim... More romantic scene next week, please....? cijessie Oct 01 2017 8:11 pm Jo Bo Ah always got the napun nyeon role, suit her!But can she got a better person role? XD fighting! siti dayanti Sep 30 2017 9:29 am I can't imagine this drama will affected to me that much... I have seen hyun Jin n se jong on romantic Dr, dr. kim.. but they chemistry is going on very well in this drama.. they look good together, good dialogue, simple but deep.. very touching, I take a deep breath so sad when Jung sun called hyun soo but she declined to answer that call.. good drama, n I hope will be one of the best drama in 2017.. keep on fighting!! Sherrapr Sep 29 2017 11:28 pm Here me again with my 2nd lead syndrome.. Can Hyunsoo just be with CEO-nim?? Yeung Sep 27 2017 8:31 pm I am thinking the chemistry between 2 main leads so perfect. They are so good together despite age gap. 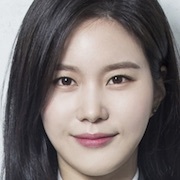 Love their straight forward character .I just hope nothing will happen to Hyun Soo since her physical well being does not look so good ( easy falling off and she is losing hair) . I hope she won't get terminal sick or something .. is this supposed to be romcom or melo drama.. ? Overall, lovely drama. Keep watching ?????? rthtrs Sep 27 2017 8:54 am Seo hyun jin's acting is always awesome! love her since "another miss oh"
Dee Sep 26 2017 10:59 pm I don't know who to ship the girl with. Both guys have good chemistry w/her. Definitely there's a 2nd lead guy syndrome? Seo Hyun Jin has never been this beautiful. Now I am a fan of these 3? Love this drama! It's been dry since Father Is strange. Thank goodness for this kind of drama. 2 thumbs up for me!? Can't wait for next episodes. fan Sep 26 2017 3:34 pm this is so good, i'm hooked. the whole feel of it is honestly just so pretty and refreshing, the characters, the cinematography, everything, i love it. i especially love the two male leads' characters, they're both so direct and cool about themselves, it's honestly so attractive. really looking forward to the rest of it. Korean Drama critic Sep 26 2017 7:23 am So far this is the best korean drama of 2017 I have encountered. The production team has THE BEST JOB in terms of its cinematography- they clearly show the essence of the drama and of characters- and its plot is kinda light hearted yet in a sense it gives a great impact to viewers. Coordination of the writer and of the production is in a great foundation. I wish for this drama to be successful till the end. Hwaiting! fansnyajaewook Sep 25 2017 6:06 am OMG Kim JaeWook is perfect. Ann9 Sep 22 2017 11:44 pm I watch so many Korean dramas, and most of them is similar. But the point that I like this movie is the temperature of love, love at first sight, and how the young guy asked the older female to go out with him at the first time. I can feel their connection, and his love with this woman. I am so excited to watch the next ep. Delvi Sep 22 2017 11:42 am Yang sejong never disappoint me. Watched all of his drama bcus im totally in love with him since duel. His chemistry with Seo hyun jin is so good. I love Yang Se Jong??? Ren Sep 22 2017 4:11 am Anyway it's just me or you guys also feel the same? I mean... this drama has classic drama feel. I feel like watching old drama or a drama that set in 1970 something.lol. the way they choose themusic background in certain scene and the leads fashions style also bike cycle.. and kiss on the train too. darkdragon88 Sep 21 2017 11:11 pm This drama (4 episodes in) is like a breath of fresh air compared to the very basic outline of your regular common Korean shows. It has quick back and forth dialogue, really pretty scenes, and it keeps you engaged. Ren Sep 21 2017 3:10 pm This drama really so sweet. Why most people who left comments here barely feel the drama contents?? You know it's really annoying to read some people who just support their bias and hating other. Try to watch the whole story! The drama definetly a drama that have slow motion line and yes I admitted it the first time I watched it. It was so boring.but I stay still since I like non fantasy drama(fantasy drama is everywhere lol) But you see the conflict bgn to show up. And YESS THE RATING RAPIDLY CLIMBING UP TOO. Don't like it? Find another drama that fit your taste. Mediator Sep 21 2017 11:47 am TOL is a melo romance drama without fantasy. If you find it boring, then it's not your cup of tea. It's that simple. Every individual has his/her own taste and preference. The reason we‘re commenting here is because we're more vocal than others. However, you can see non-genuine opinions with a hidden agenda when the commenter is targeting at a certain actor/actress by saying freaking annoying stuff with contradictory statements such as never watch her dramas before and yet find her annoying? A drama viewer should watch without prejudice and actors are only portraying their roles according to the script, be it an antagonist or a protagonist. Therefore, you should not harbour hatred for an actor's portrayal of previous roles. Yogurt Sep 21 2017 10:47 am I can't wait for the next episode. Yy Sep 21 2017 9:27 am So fast paced romance :"
donahmeee Sep 20 2017 8:26 am Temperature love was worth watching!0 so far so damn. Good! I always love seo hyun jin. She's really beautiful..
emilylam37 Sep 19 2017 10:48 pm hey do you know the broadcasting people's one of the girl name is gi da what is her actual name? Lady_Ageha Sep 19 2017 10:29 pm LOL.. here i am watching another Yang Se Jong drama again.. i watch him first on Teacher Kim, then Saimdang, DueL and now here. i hope many people will recognize him because his awesome.. as for drama, so far is so so.. but it's still ep 2 out of 40, it's still long waayyyy to go. ? Lala Sep 19 2017 5:27 pm I'm a little bored but I'll try to continue watching. Cra Sep 19 2017 6:22 am Love jo bo ah!!! Please make more scene of her with the second lead!!! Their great actor and actress!!!! Ayoko Sep 18 2017 9:07 am I suppose its 40 ep, right? Kdrama♥️fromIndia Sep 18 2017 8:46 am I hope they won't extend episodes showing love triangles... Temperature of love....fighting!!! NadyHyera Sep 16 2017 3:13 pm I really love the cast!!! Especially Yang Se Jong, Kim Jae Wook, Jo Bo Ah, and P.O!!! Hope it will be lit~???? Tabita Sep 14 2017 3:52 pm I love all the cast, especially Kim Jae Wook. cherry Sep 13 2017 9:39 pm The cast is SUPERB. Seo Hyun-Jin's level of acting is unmatched, and her kissing scenes? iconic is the only word! Can't wait~ The male lead, Yang Se-Jong is fairly new, I saw him in "Romantic Doctor, Teacher Kim" & "Duel" and fell in love, he has this charming vibe about him. Don't even get me started on Kim Jae-Wook, what a fine piece of specimen. His chilling performance on "Voice" is still stuck with me, he's just incredible. From the teasers, the show looks totally promising, can't wait!!! Glo Sep 11 2017 1:32 pm Omg jo bo ha!!!! Love her!!!! Hope she can be a lead!!!!! twojastara Sep 11 2017 6:49 am Pyo Jihoon fighting!!!!!!!!!!!!!!! Carat Sep 10 2017 11:27 pm Looking forward ro this drama . Kim Jae Wook looking so so good . Omg ? 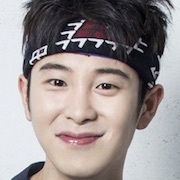 and also Pyo in it.. yeayy ! Kawai Sep 06 2017 6:31 am Woaaaah! Im glad that they now have a drama together! They really have a chemistry on Romantic Doctor Teacher Kim :))))) Yang se Jong fighting! ayça Sep 04 2017 5:11 am i am really tired to waiting i want to watch this dramaaaaaa!!!!! Risa Sep 04 2017 12:17 am Yang se jong youre so handsomeee and talentedd...im looking forward this drama...this kinda have coffee prince' setting ♥♥♥??? Riaaangg Aug 19 2017 6:14 am I didn't watch any drama since suspicious partner end. Like I don't find dramas that aired in july-August this year worth watching.. But I anticipating this drama so much. 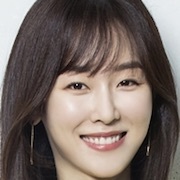 Seo hyun jin is one of the actress that I always wait her performance. 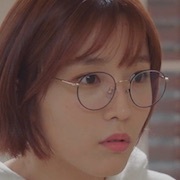 She got my attention in another oh hae young that it became my lifetime drama, romantic doctor was also awesome and I looked for her old dramas and none of it disappointing.. Anyway the plot sounds interesting and I believe Seo hyun jin will pulled off any role ? Mee Aug 11 2017 7:39 pm The plot sounds cliche, but since it yang se jong + seo hyun jin, i believe its going to be a good one. yang se jong is on roll since romantic dr.kim. He's good actor. I love seo hyun jin since three musketeers, and still waiting for the second season even after years. Park chi ra Aug 10 2017 7:19 pm It's a good choice, i like all the selected cast. Seo hyun jin, Yang sejong, Kim jae wook, Jo boah, Ji il joo(WFKBJ) Hwang suk jung(SWP and Goblin), lol. I hope the romance comedy mix "She was Pretty" and "Another Miss oh". I love Seo hyun jin since Lets Eat season 2, I think for comedy i dont have to worry about her. She is Queen of chemistry and Queen of comedy after Gong hyo jin. Please to Asianwiki to upload photos of their script readings later :)thankyou. Nina Aug 03 2017 12:11 am I'm glad Kim Jae Wook will be in it, but he seriously deserves to be getting lead roles by now. Sarah Jul 30 2017 8:15 pm I'm soooo happy that he got a lead role in a romcom this fast. I loved him very much in Duel♡ Really can't believe he got a role right after Duel.. we are very lucky haha. Hope success 4 this drama and wish that it would turn out great. bloom Jul 29 2017 8:38 pm wow! Seo Hyun-Jin congrats..for this new drama..I have double happiness.. my korean lovely actresses Han Hyo-Joo and her have new projects, hope Park Bo-Young and Jin Se-Yeon also cast soon in dramas or movies, wow! Seo Hyun-Jin and Yang Se-Jong work together again, hope for a good storyline for this drama like Romantic Doctor Teacher Kim both leads previously drama..everyone goodluck! ani Jul 28 2017 6:46 am return of kim jae wook!!! Awanis Jul 28 2017 4:21 am oh my god i cant wait for this! Mrs. Darcy Jul 27 2017 2:10 pm I REALLY hope this time, they give us a big surprise and the second lead gets the girl! Kim Jae Wook deserves that... Enough is enough! Give attention to REAL actors! Night owl Jul 27 2017 11:16 am Wow ? you guys are actually making this happen? He didn't get her in (Romantic Doctor, Teacher Kim) so now you are paring him up with her. I can't wait for the two of them to play lovers ? Keto Jul 26 2017 2:49 pm Omoo!!! After watching duel his acting amazed me! I'm so excited! their chemistry i cant wait! dhaimae Jul 26 2017 1:59 am omooo! finally a new drama for Seo Hyun-Jin, patiently waiting for this.. Yang Se Jong is handsome! September, please come fast please! Kdrama lovers Jul 25 2017 10:28 pm Finally! What a great pair! Im sooooooooooooooooooooooooo excited! kendall Jul 25 2017 7:33 am Oh yess! Seo hyun jin, Yang sejong, Kim jae wook, Jo boah in one screen. Good shot for cast selection. They are the best actors and actresses, i hope they immediately accept the offer. Good plot, the love story through online conversations between the drama series writers with the young chef is very unique. Im so happy to be looking forward to it, my september will be very cheerful along with this drama, lol..
dogge Jul 25 2017 4:41 am I thought about it and realised YSJ has got no experience in romcom or romance in general.. SHJ is great but I'm worried about their dynamics. They were cute together in Romantic Doctor Dr Kim though, but more in a way of brother and sister. Curiosity Heaven Jul 24 2017 10:42 am According to DB KJW have accept the second lead role. I think all the cast look promising. Hope the writer don't screw up. dian Jul 23 2017 9:56 pm Does Yang Se Jong already accept the main role? yeay, already finished watching Duel and I already miss him on screen. nancy Jul 20 2017 6:46 am Kim Jae-wook (Voice), who has signed on for a supporting role.Aw, will the second lead get the girl this time? Curiosity Heaven Jul 19 2017 7:45 am Hyun Jin please accept this drama! Not seeing you on screen is killing me. Hopefully Yang Se Jong accepts this as well. It would be a Romantic Doctor reunion! Mikaru Mikaru Jun 25 2017 5:52 am Honestly when i see filmography the writer.. Hmmm.. i hope Seo Hyun-Jin can get the role from better writer like Kim Eun-sook.. Hehehehe.. Personally wanna see her pair with Kim Soo-Hyun.. Will be daebak when they are having a kiss scene..
dhaimae Jun 21 2017 5:29 pm wow! hoping for Seo Hyun-Jin to accept the role coz she's so good! I'm waiting for forever since AOHY and RDTK. Her acting is just so awesome esp in AOHY! whoever the male lead will be as long as it's Seo Hyun-Jin, I'll definitely watch it. seodolby Jun 16 2017 6:41 am Omo Seo hyun jin..? Please accept !! Welcome back to dramaland ang yass this romantic-comedy drama. I can't wait for your hilarious acting, eonni. Hope you can be a handsome young couple later in this drama.